The Midwives of New Jersey believe in encouraging and supporting mothers throughout pregnancy, birth and beyond including the 4th Trimester, known as the postpartum period. The time following the birth of your baby, known as the postpartum period, is an important time because the way in which a new baby transitions into a family has a lasting impact on both the physical and emotional health of mom, dad and siblings. The Midwives of New Jersey offer tremendous postpartum support and additional programs to support mothers during this special time. After the birth of your baby, we will visit you at the hospital, at your home or in our office between 2-3 times following the birth of your baby. We will also schedule an appointment with you to see you for a 6 weeks postpartum visit to ensure mom and baby are doing well. The Midwives of New Jersey offer additional in-home postpartum support provided through Care For Moms. We believe that when a mother’s needs are met, her household will operate more smoothly and mom and baby have a greater bond. Care For Moms provides postpartum doula services and assists with basic baby care, breastfeeding support, light housework, errands, meal preparation, toddler care and more so you focus your attention on getting some extra sleep and bonding with your baby. Families may choose to have support between 1-3 days per week or as many as 5 days per week depending on the individual family’s needs. For more information visit careformoms.com. email care@careformoms.com or call 908.509.1417. After your baby is born, you are invited to attend our MotherCare Class. This 4-week series of classes is for women in the first 6 months after the birth of their baby. The classes provide women with social support and tools to help them gain confidence as a woman and as a mother during this transitional time with a new baby. Part of the class is a facilitated class discussion and another part of the class is a “gift” for mom. For more information email mothercare@womenswellnessnj.com or call 908.509. 1876. Making time to visit with other moms is a great way to cope with the stress many experience during the postpartum period. 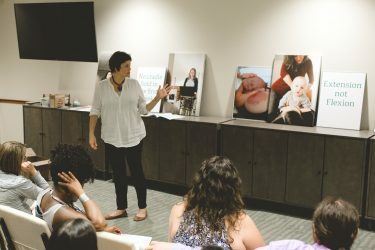 Our Monthly Mothers Group at Women’s Wellness of New Jersey is a monthly gathering of like-minded mothers intended to create connection and personal relationships. Each month features a different topic; email wellness@womenswellnessnj.com or call (908) 509-1874 for more information. Women can continue seeing us well after the postpartum period for all of their gynecological needs. Our Well Woman services include annual well-woman exam, menstrual cycle management, family planning services and breast thermography all done in the comfort of our office. To learn more call (908) 509-1801 or e-mail midwives@midwivesofnj.com.